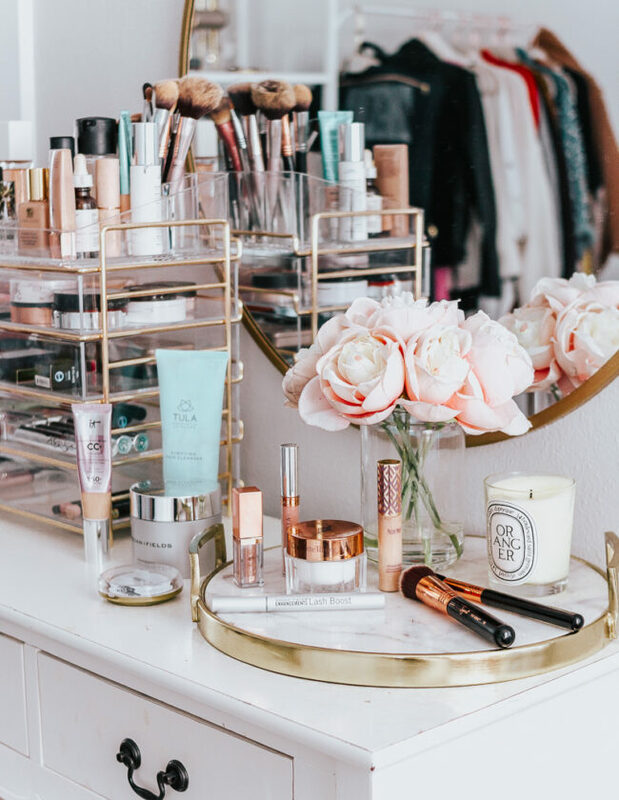 Last night, I decided to unwind by watching this week’s episodes of ABC’S ‘Bachelor in Paradise’, browsing some of my fave September issues, and doing an overnight hair mask. There’s just something so luxurious about a hair mask, no? 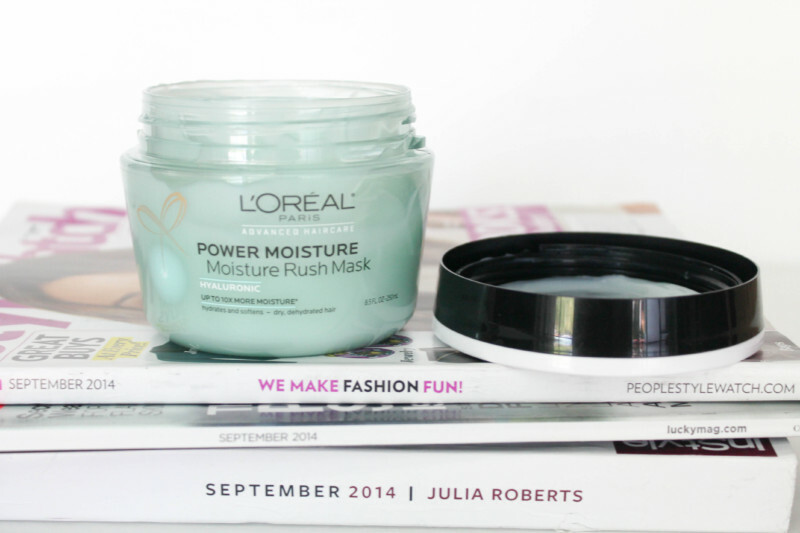 I’ve been dying to try the new line of L’Oréal masks, and really just a hair mask in general. After years of bleaching and ombre, my hair is in definite need of some TLC. It had gotten kind of dry on the ends and was screaming for moisture. 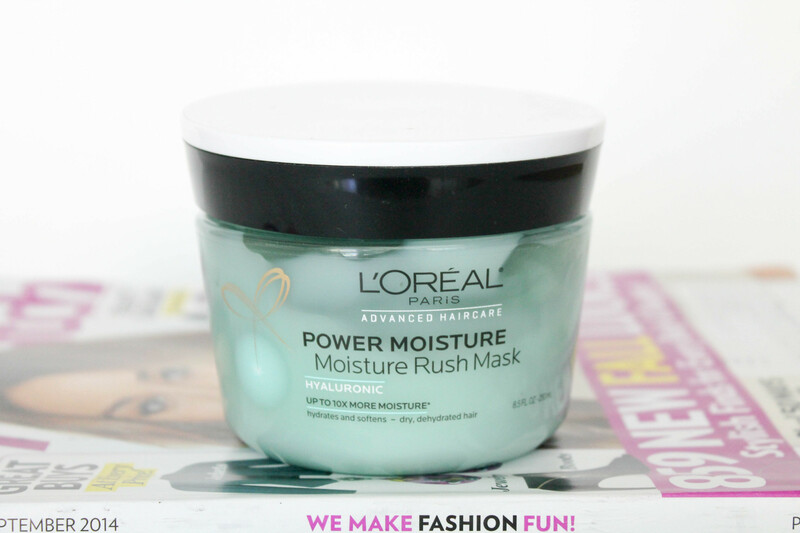 I picked up the L’Oréal Power Moisture Moisture Rush Mask at Target the other night while actually searching for the Oleo Therapy Deep Recovery Mask. My Target didn’t happen to have it, so I settled on the Moisture Rush mask, because, hey, it was $5.99. (Can’t beat that!) I learned from Beauty High that you can actually do a hair mask both overnight and on dry hair, so I bypassed the instructions on the Moisture Rush mask (3-5 minutes on wet hair) and just did that. (I picked up a cute pink shower cap!) The actual mask is very light and smells very clean and fresh. 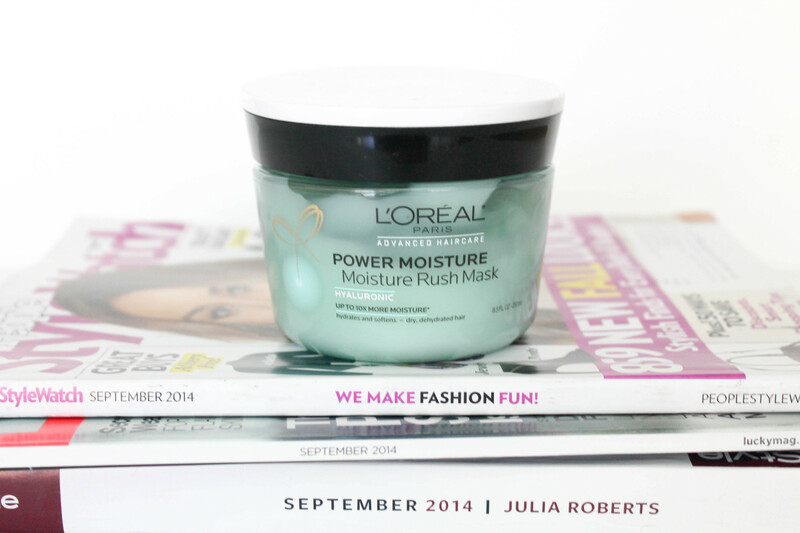 The mask claims to hydrate and soften dehydrated hair and deliver 10x more moisture. This am, I showered and was pleasantly surprised at how soft and silky my hair felt, just in the shower! After I dried and styled my hair, it did, in fact, feel silky and manageable. My ends no longer felt strawlike and it just felt refreshed and hydrated. Overall, I’m pleased! I think I still need to do a few more treatments to get my hair to optimal levels of hydration, but this was a really great first step! (Plus, I’m still going to try the Oleo Therapy mask!) Tell me in the comments: do you ever do hair masks? Which do you recommend? Have you tried this mask?